Watch full Johnny Bravo Season 4 Episode 13 full HD online. Cartoon video Johnny Bravo Episode 65 online for free in HD. Johnny Makeover: Johnny Bravo becomes the target of Don Knotts, “Weird Al” Yankovic, and the Blue Falcon for their reality show, Cartoon Makeover. The trio attempts to completely revamp him to make him a huge hit for the new youth generation, but their tactics only make things worse for Johnny. 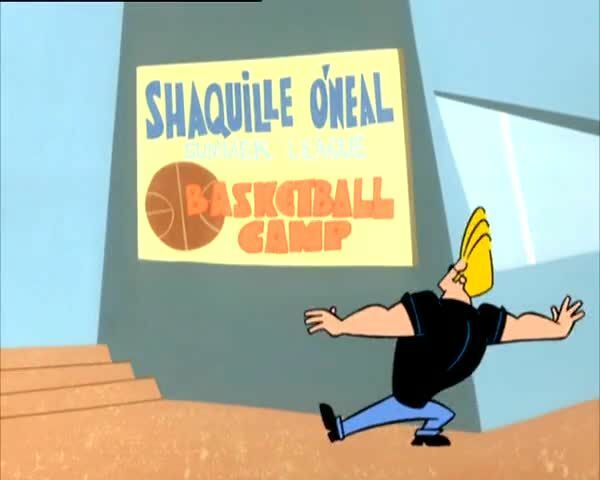 Back on Shaq: At a basketball match, Shaquille O’Neal discovers that Johnny Bravo brings him good luck. This occurs up to Shaq’s showdown match with Seth Green whose brought along his own good luck charm by the name of Huckleberry Hound. Johnny Bravo Season 4 Episode 6 Non, Oui, Oui Pour Johnny / That’s Entertainment! Johnny Bravo Specials 2 It’s Valentine’s Day, Johnny Bravo! Johnny Bravo Season 3 Episode 17 The Hansel & Gretel Project / I.Q. Johnny / Get Stinky! Johnny Bravo Season 3 Episode 2 Virtual Johnny / Hold That Schmoe / Hunted! Johnny Bravo Season 1 Episode 12 The Man Who Cried ‘Clown / Johnny Real Good / Little Talky Tabitha! Johnny Bravo Season 1 Episode 2 Super Duped / Bungled in the Jungle / Bearly Enough Time!